* Please note this is the same exact product listing as WGSMIK for $147, but the Essential kit does NOT come with the two instruments - Pin-Holder and Ring Forceps. If you already have instruments like these they should be compatible with the Wagotrix system. 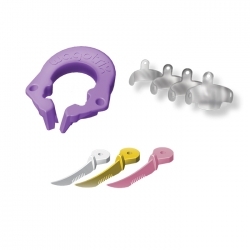 The WagoTrix Sectional Matrix Essential Kit has been designed and extensively clinically tested by industry leading clinicians resulting in the new benchmark for Class II posterior composite restorations. The WagoTrix team utilized its 15+ years of experience in the Class II restoration field evaluating, testing, marketing and teaching many different types of sectional matrix systems from all over the world to develop the ultimate Class II sectional matrix system for dentists. No financial risk from losing or damaging ring. Wagotrix wedges are available in 3 convenient sizes - small (white), medium (gold) and large (pink). Each package contains 100 wedges. 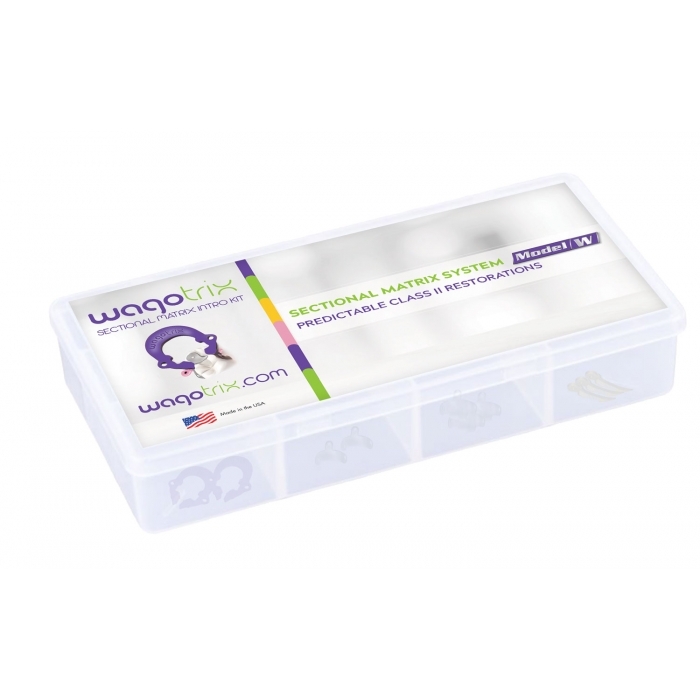 Stackable and can be placed without removing ring for improved seal of the box with ease. The unique design of the notches in the center of the wedge allows for the wedge to adapt upon placement allowing for superior gingival margin seal. Saves time and money due to less finishing.